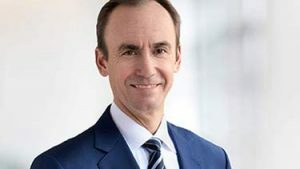 IRVING, Texas — Veteran McKesson leader, Brian Tyler, has become the company’s new chief executive officer Monday, succeeding John Hammergren. Hammergren has served as the company’s top executive since 1999. “I am incredibly humbled and grateful for the opportunity to lead this company,” said Brian Tyler, chief executive officer, McKesson Corp. “We have a seasoned and talented board of directors and executives. I look forward to building on the solid foundation and global platform established by John and our management team. McKesson will continue to innovate in this changing healthcare environment, always focused on providing exceptional value to our customers and patients. Tyler is a 22-year McKesson veteran who has headed up nearly every major business within the company as well as McKesson’s corporate strategy and business development unit. Most recently, Tyler served as chief operating officer and president of McKesson. He also joins the company’s board of directors. Mueller served as chairman and chief executive officer of Qwest Communications from August 2007 to April 2011. He has also held the position of chief executive officer of Williams-Sonoma, Inc. and Ameritech Corporation, a subsidiary of SBC Communications. Mueller previously served on the boards for The Clorox Co., CenturyLink Inc., Williams-Sonoma Inc. and VeriSign Inc.
Also effective on Monday, McKesson’s Las Colinas, Texas, campus becomes the company’s official global corporate headquarters. Opened in 2017, the Las Colinas campus is an existing employee hub with teams performing vital functions for the company in areas such as operations, information technology, finance and accounting, marketing and sales, administration and support, purchasing, and project management.